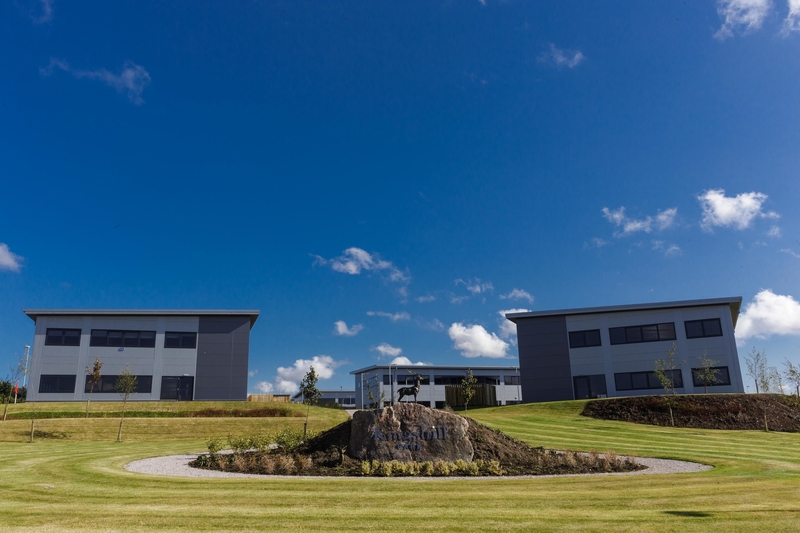 Aberdeen based commercial property developer Knight Property Group have announced the part letting of Pavilion 6 of their Westhill development, Kingshill Park. Advanced weather forecast company Storm Geo have signed a five year lease on the 4,270 sq ft. space. The professional weather provider are set to move into the first floor of pavilion 6 which benefits from raised access flooring, generous parking and LED lighting throughout. Kingshill Park will consist of 11 buildings upon completion, ranging between 2,600 sq ft. and 16,400 sq ft. and is located in close proximity to the AWPR making it more accessible to Aberdeen city and shire. Upon completion, the development will bring approximately 1,100 workers to the area. Howard Crawshaw, Director at Knight Property Group comments, “The pavilions within Kingshill Park have been designed with ultimate flexibility that allows subdivision and multiple companies to be located within one building whilst having their own front door. This allows for smaller companies to benefit from all of the perks of a modern new build without being tied to an office that is too large for their company’s needs. Already based within Westhill, Storm Geo are moving to Kingshill Park in order to accommodate their growing team following the recent acquisition of Applied Weather Technology. Dan Smith, Director at Savills and joint letting agent for Kingshill Park comments, “Although Aberdeen is still faced with its challenges, there are signs that we are approaching light at the end of the tunnel. Knight Property Group have a number of projects operating throughout Scotland, including the £12 million acquisition of Edinburgh House.